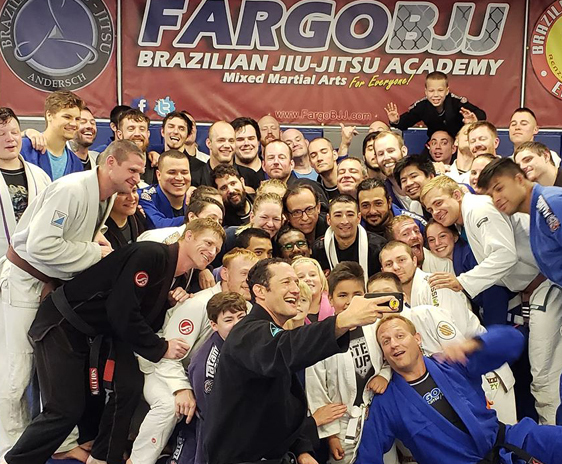 The rise of the UFC and Mixed Martial Arts has brought a lot of attention to, and popularized Brazilian Jiu-jitsu greatly… but unfortunately it gives many people the wrong idea as to what is going on inside the Academy. Often, prospective students are worried it may be too hard for them to learn…or that they may get hurt. Nothing could be further from the truth… Jiu-jitsu is something EVERYONE can do! In the Fundamentals Class you will be introduced to the basics of Brazilian Jiu-jitsu in a format that is designed for someone with absolutely no experience. The class follows a ‘co-operative partner’ format that allows you to watch a technique, series of techniques, self-defense skill or situation, and then practice it on a partner who is cooperating with you to be able to perform the task correctly. During the class you may then go on to drill the techniques while rotating with other students in the class, or through a predetermined set of reaction possibilities from your partner. 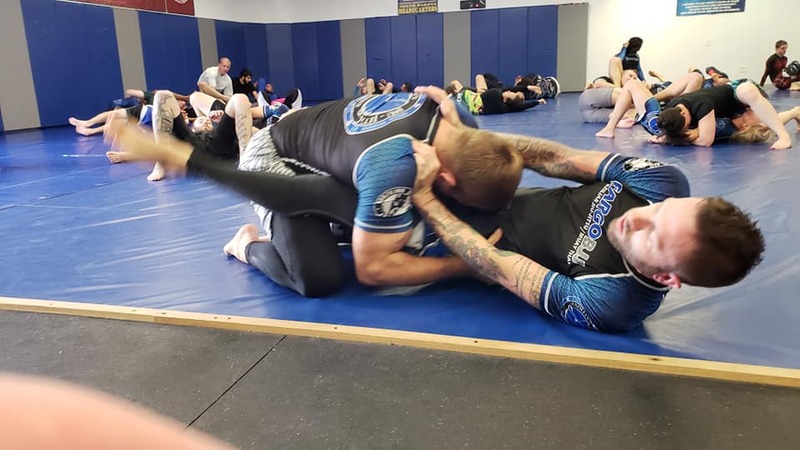 There are many drill variations used during the class, but the key to the Fundamentals class is that the partners are working together to learn and there is never ‘live resistance’ or ‘sparring’ in the class. As a general rule the fundamentals class almost always partners people using the ‘Peel Off’ method. This means the advanced students partner with the newest students so that every training pair has someone that already has experience in the class and can offer additional assistance during learning if needed. This keeps the flow of the class moving along nicely and also introduces you to the concept of how to be a ‘good partner’ for new people once YOU become more advanced. If you have any questions about the Fundamentals Class please feel free to ask Prof. George or Sarah, or any of the coaches anytime.